A recent major repair we have conducted, was a repair to a Lola B05/40 LMP2. 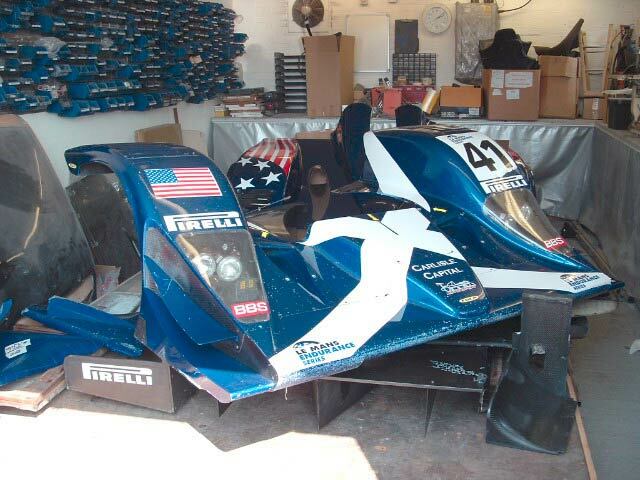 Binnie Motorsports approached us for a quote for their current Lola which they compete in the American Lemans Series. 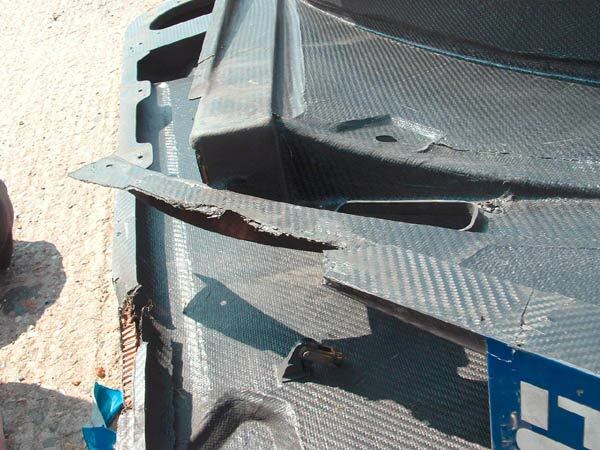 Much of the body work had superficial damage whilst the underfloor sections had structural damage, often in Alloy Honeycomb Sections. 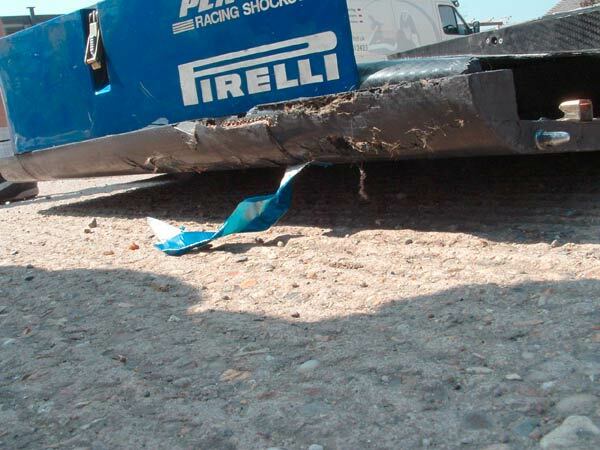 Repairs were made in record time over 3 days, with the team @ ReVerie working 6.30am until 10.00pm to ensure the race team go out with spare bodywork to the Nurburgring 1000km race. Binnie supplied ReVerie with their spare bodywork so ReVerie could produce mould from them. New Honeycomb Cored Sections were autoclave cured and set into the old damages areas. Upon collecting, after flatting and polishing, the customer could not see the repairs, even the weave direction matched the orginal. Superficial areas were wet-lay repaired, filled, and primed ready for 2k paint application at their body shop. 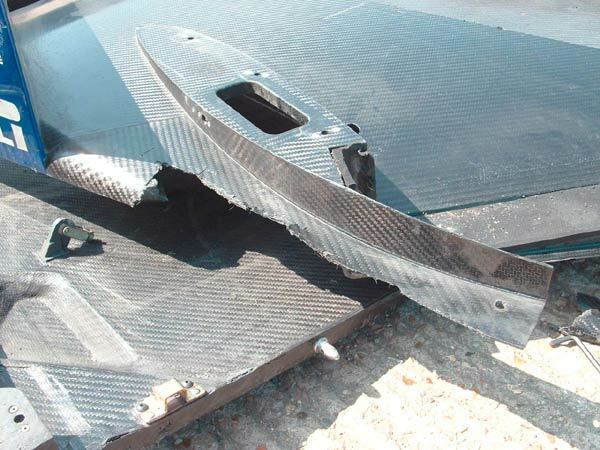 Below are photo's of the damaged areas.